We present an algorithm that certifies the feasibility of a linear program while using rational arithmetic as little as possible. Our approach relies on computing a feasible solution of the linear program that is as far as possible from satisfying an inequality at equality. To realize such an approach, we have to detect the set of inequalities that can only be satisfied at equality. Compared to previous approaches for this problem our algorithm has a much higher rate of success. 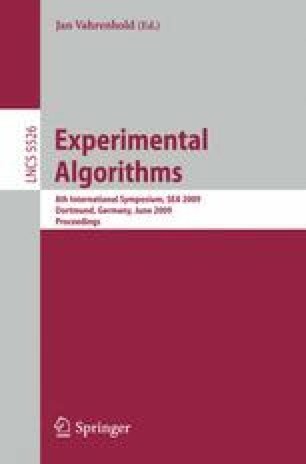 This work is partially supported by the German Research Foundation (DFG), as part of its priority program “SPP 1307: Algorithm Engineering”, grant AL 1139/1-1.